It's Independence Day, so let's celebrate the very best American music! Here are some of the most influential and ground-breaking acts to hail from Stateside. 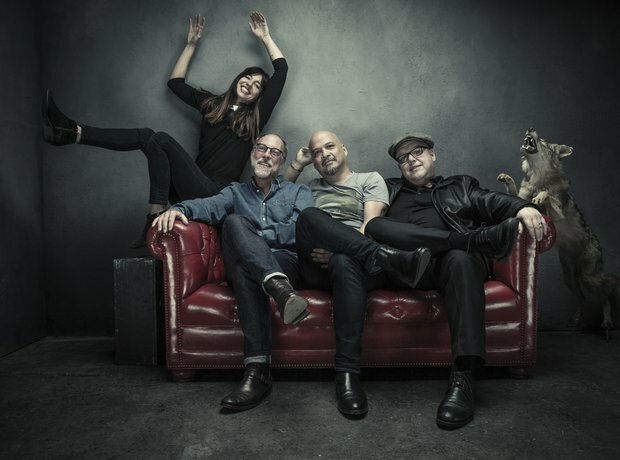 Forming in Boston, Massachusetts in 1986, Pixies are one of the most influential bands of the past 30 years, influencing everyone from Nirvana to Blur. Plus, Black Francis’s minimal chat/frantic guitar thrashing stage presence is just excellent. Injecting disco and electro into quirky, Bowie-esque tunes, James Murphy's collective poked fun at the vapid world of the mainstream, whilst simultaneously writing club floor-fillers that will live on forever. Zorbing. During gigs. The fact that Mr Coyne would go on to collaborate with Miley Cyrus is irrelevant in comparison. Coolness will always win out, and The Flaming Lips' 30 year career is a testament to being individual. Their influence can be seen in Arcade Fire's everything-but-the-kitchen-sink live shows. R.E.M. were one of the coolest US bands making music in the early 1980s. In those days, no-one knew what the hell Michael Stipe was singing (he was quite a mumbler) and everyone had to make up their own minds on what the enigmatic songs were about. And they made guitar music cool in an era of tacky synth pop. When they hit the big time in 1991 with the release of Out Of Time, they'd definitely paid their dues. The noughties guitar music boom wouldn’t have existed if it wasn't for The Strokes. Effortlessly stylish and full of cocky attitude, they put New York back on top as the place to look for great new guitar bands. WIth the front-woman of a generation in Karen O and a series of scorching tunes, the New York trio made a huge impact when they started to release music a decade ago. Always elusive, often cryptic, The White Stripes modernised the sound of American rock by putting their own spin on the blues. With his "sister" Meg, Jack White was an unlikely looking guitar hero… but the quirky image worked. Post grunge outfit Weezer made music for Generation X slackers and their self-titled "Blue" debut album is an absolute gem. Their confident self-parody means frontman Rivers Cuomo can write hugely addictive hits like Pork And Beans… while he's actually attacking his own record company. The National write melancholic rock anthems that are littered with Americanisms that we Brits can only ever aspire to understand. They’re so comfortable in their coolness it’s almost upsetting.